LOS ANGELES, CA (October 9, 2018) – NATPE, the National Association of Television Program Executives, will present the first ever “Living the Dream: A Career in Content” event in partnership with the NAACP, (National Association for the Advancement of Colored People) and the NHFA (National Hispanic Foundation for the Arts). The event will be held on Martin Luther King Jr. Day, Monday, January 21, 2019, one day before NATPE Miami 2019 commences, at the Fontainebleau Hotel in Miami Beach Florida. The special event is designed to assist students, young professionals and others with a desire to enter the entertainment and media industries to learn more about how their dreams can become a reality. Both the NHFA and the NAACP are committed to raising awareness of diversity and inclusion in front and behind the camera as well as in all creative content with the overall mission to ensure the political, educational, social, and economic equality of rights of all persons and to eliminate race-based discrimination. The organizations both have programs to inspire today’s youth and are committed to furthering awareness of multi-cultural content, diversity in media, and inspiring youth to follow their dreams. World-renowned producer, director, actor and screenwriter Tyler Perry, will deliver the Keynote Address. Mr. Perry is an outstanding example of an individual who began his career with very little and through extraordinary talent and dedication has risen to the top of the industry in all areas of his multi-talented skills. Mr. Perry’s remarks will be followed by a panel headlined by CSI: Los Angeles’ Esai Morales, showrunner for USA’s “Queen of the South”, Benjamin Lobato and Netflix’ “One Day at a Time” showrunner Gloria Calderon Kellett, as well as other leading talent, executives, producers and writers who have imbedded storylines of diversity in their works. The final portion of the day’s presentations will be followed by a “Celebration of Creativity”, in which three pre-selected students will present story ideas dealing with diversity live onstage to a panel of industry-leading development executives. The three budding young filmmakers will be selected from the NAACP’s Hollywood Bureau film education program, which searches the country for talented young people in a variety of disciplines, and the NHFA’s whose PitchDC and PitchNY programs showcase authentic and original content ideas from NHFA student scholars, alumni and associates. All proceeds from the event will go to the NATPE Educational Foundation to support educational initiatives. 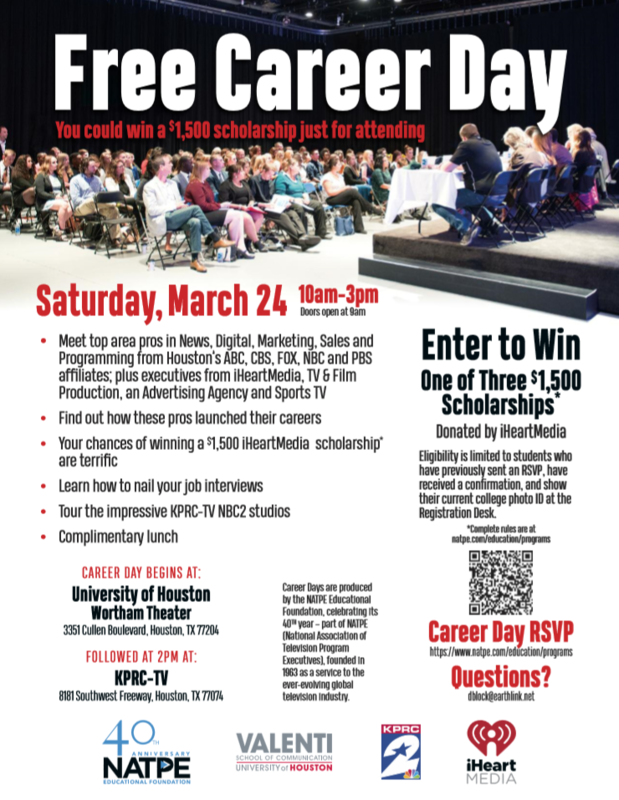 NATPE will invite students from Miami-area universities and high schools who are interested in getting into the entertainment/media business to the event. Industry execs attending NATPE will also be in attendance to network and engage with students. The NATPE Educational Foundation and its programs are focused on creating new professional opportunities for young professionals looking to pursue a career in Hollywood. Founded by actors Jimmy Smits, Esai Morales, Sonia Braga, Merel Julia, and Washington D.C. attorney Felix Sanchez, the NHFA addresses the underrepresentation of Latinos in entertainment through education initiatives, audience and industry outreach, content and talent development, diversity and civil rights advocacy. In keeping with their dedication to education and the arts, in their 21 year span the National Hispanic Foundation for the Arts has provided over $10 million in mentoring and outreach, including college scholarships to more than 400 Latino Students from nine elite universities and colleges. Such beneficiaries include young and emerging talent such as NYU’s award-winning director Alfonzo Gomez-Rejon (Me and Earl and the Dying Girl, 2015), and Yale’s Roberto Aguirre-Sacasa, whose writing credits include television shows Glee, Big Love, Looking, as well as films Carrie (2013), The Town That Dreaded Sundown (2014) and Spider-man on Broadway, NYU’s Rashaad Ernesto Green, Gun Hill Road (2011) and Reinaldo Marcus Green, Stop (2015), Sundance Institute Grant recipient (2017) and Monsters and Men (2018), and Benjamin Daniel Lobato, supervising writer, USA Network’s Queen of the South (2018). NATPE strives to provide the most professional and organized business environment for our participants. Access to all market and conference locations as well as networking events will require a registration badge. We appreciate your understanding and cooperation of this important policy. UNPAID REGISTRATIONS WILL BE AUTOMATICALLY CANCELLED AFTER 30 DAYS.SUBMIT PAYMENT TO GUARANTEE YOUR REGISTRATION. ○ Please note that you can also register onsite with cash or credit card only. WE WILL NOT ACCEPT CHECKS ONSITE. · There are NO REFUNDS available for this event. · All account discrepancies must be settled by February 28, 2019. · No one under 18 is allowed on Exhibit Areas unless they are talent promoting a show and have been approved by show management. · Wire transfers must be received by January 11, 2019. Add $45 for wire transfer fees. Must send a copy of wire transaction to registrationinfo@natpe.org or via fax to +1-310-453-5258. Wire transfers MUST include Attendee’s name. · Checks must be payable to NATPE and be drawn in U.S. funds from a U.S. bank. All checks must be postmarked by January 11, 2019. There will be a $45 fee for all returned checks. Checks will not be accepted onsite. To reserve your hotel for the NATPE Market & Conference please use the NEW RESERVATION link. Simply enter your arrival and departure dates and the available hotels, room rates, and cancellation policy will be displayed. How do I make a change or cancel my hotel reservation? Hotel changes, including cancellations, need to be made online using the MODIFY RESERVATION before January 17, 2019. After January 17 you will need to contact your hotel directly. Please use the MODIFY RESERVATION to add a special request to your hotel reservation. Note, NATPE does not guarantee special requests, but the hotel will make its best effort to accommodate you. How can I get a specific room or tower at the Fontainebleau? NATPE does not contract specific towers for hotel sleeping rooms. The standard rooms do not guarantee bed type, view, or building. The Junior Suite or One Bedroom Suite is located in either the Tresor or Sorrento tower. When will my waitlisted night be confirmed? Should your hotel reservation contain certain nights that are currently wait listed, rest assured we are working to complete your reservation as quickly as possible. You will receive an updated acknowledgement once your reservation is confirmed in its entirety. What if my dates are not available online? If you want to extend your stay over dates not available online, please contact us at natpe@conferencedirect.com. How can I book multiple rooms? If you need to make room reservations for a group of ten rooms or more, please contact us with your request at natpe@conferencedirect.com. Lexington Hotel Miami Beach Cancellations received with less than seven (7) days notice, including by not limited to no-shows, will be charged the first night’s room and tax. The Palms Hotel & Spa Cancellations received with less than seventy-two (72) hours notice, including by not limited to no-shows, will be charged the first night’s room and tax. When making a reservation online, you are required to provide a valid credit card as a form of guarantee. It will not be charged immediately. When and if the card held as a guarantee will be charged varies by hotel as noted below. Lexington Hotel Miami Beach A deposit of one night’s room and tax will be charged to your credit card on or after December 25, 2018. The Palms Hotel & Spa Your credit card will be held as a form of guarantee only and not charged an advance deposit. The card will only be charged if the reservation cancels with the Hotel’s cancellation policy or if the reservation no-shows. Lexington Hotel Miami Beach The deposits paid by individuals are refundable if notice is received at least seven (7) days prior to arrival. Ho do I pay for my hotel room before the conference? If your organization requires expenses, such as room and tax, charged to a credit card prior to arrival please email natpe@conferencedirect.com. We will provide instructions for you to complete and submit a Credit Card Authorization form directly to the hotel. The guest must still supply a credit card at check in. How do I get a hotel invoice? The NATPE Market & Conference does not provide invoices. A hotel acknowledgement will be sent to you via email upon completion of the hotel reservation outlining the rates and tax policy. You will receive a detailed folio from the hotel upon check out which itemizes all hotel related charges. All guests arriving before designated check in will be accommodated as rooms become available. Public Parking can be found nearby at the Tower 41 Parking Garage at 4101 Pine Tree Drive, Miami Beach. General parking fees are $1.00 per hour and can be paid with cash or credit card. To receive discounted Hotel Parking Rates you must show your NATPE badge. This is a flat rate for NATPE participants and also applies to overnight parking. How can I arrange Shuttle Service? NATPE does not provide airport or conference transportation. However, if you would like to schedule your ownNATPE does not provide airport or conference transportation. However, if you would like to schedule your own transportation you may contact Super Shuttle Transportation at 305-871-2000.
Who can I contact about my registration? 9) The attendee or exhibitor being relocated for work more than one hundred (100) miles from the work location which they were unaware of at the time of booking, or they are unexpectedly terminated from their job. Claims must be submitted within 30 days of the end of the event. NATPE reserves the right to revoke Membership, without refund, if any of the above rules are not followed. LOS ANGELES, CA, May 2, 2018 – LA Screenings Independents announced today their official programming for their 2018 showcase, which will place up-and-coming, independently-produced television in front of industry leaders and global buyers looking for fresh, bold content. At the core of this year’s programming will be the “LatAm Summit and Networking Breakfast” on Wednesday, May 16 presented by Olympusat. Sessions will include a presentation by Dan Punt, Managing Director, FTI Consulting on the adoption of mobile content consumption by LatAm market millennials and a session from Olympusat, CEO, Tom Mohler on Hispanic scripted drama. Another highlight of this year’s LA Screenings event will be the Opening Night Party, sponsored by Olympusat and featuring a performance by Chyno Miranda on Tuesday, May 15. 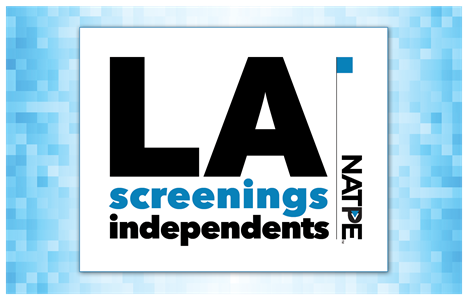 LA Screenings Independents is the first showcase to spring out of the organization’s newly formed partnership with NATPE. This exciting collaboration is marked by an expected record-breaking attendance for the event, which has, for the first time, sold out both exhibition and all hotel rooms at The Intercontinental Hotel. LOS ANGELES, October 26, 2017 – The National Association of Television Program Executives (NATPE) today announced the election of Netflix Vice President, Original Content Cindy Holland, Universal Television President, Pearlena Igbokwe, Facebook Head of Development Mina Lefevre, and CBS Senior Vice President, Alternative Programming, Sharon Vuong to its Board, effective immediately. This was jointly announced today by Andy Kaplan, NATPE Chairman of the Board and JP Bommel, President and CEO of NATPE. The new appointees will serve a term of two years. Representing broadcast and digital streaming services of the business, these new Board members round out an already robust group of content industry executives to position NATPE for continued evolution. With four new members representing broadcast/networks and OTT/platforms, these categories are now the second largest groups of representation on the Board. Cindy Holland is the VP for Original Content at Netflix where she is responsible for acquiring and launching original series for the over 109 million users. Pearlena Igbokwe was named President, Universal Television in June 2016 and oversees creative programming for one of the country’s largest and most successful production companies. Mina Lefevre is currently Head of Development & Programming for Facebook’s original content initiative. She oversees the development and production of scripted and unscripted shows for Watch on Facebook. Sharon Vuong is the Senior Vice President of Alternative Programming at CBS Entertainment. Vuong oversees development of new alternative programs, including reality series, game shows and other non-scripted programming. “We are delighted to welcome such a diverse group of leaders who are helping to redefine today’s changing television landscape. At NATPE, we strive to represent the future of the industry and are gratified that our board is comprised of executives at the center of these evolutionary shifts,” said Andy Kaplan, Chairman of the Board, NATPE and President, Sony Pictures Television Networks. NATPE also announced the formation of a new NXTGN (Next Gen) Advisory Board, populated by a group of top executives across digital media with the mission to identify new trends in the media and entertainment content industry. Additional details on upcoming events, including the three-day NATPE MIAMI Marketplace & Conference from January 16-18, 2018 will be released soon. NATPE BUDAPEST, one of the largest marketplaces in central Europe, takes place June 25-28, 2018 at the Intercontinental Budapest. More information on the organization including registration for both events can be found at www.natpe.com. LOS ANGELES, February 28, 2017 – JP Bommel has been named NATPE’s President and CEO, effective today, according to Andy Kaplan, NATPE Chairman. Mr. Bommel previously held the position of Managing Director and COO at the association, a pioneer in the television and content industry. “NATPE Miami 2017, the first with JP at the helm, was a huge success with compelling new tracks and record numbers of international attendees. JP has a strong track record and I’m excited to continue working with him on our shared vision for NATPE, building on its substantial reach and relevance as the industry continues to evolve around the world and across platforms,” said Andy Kaplan, Chairman of NATPE and President, Worldwide Networks at Sony Pictures Television. The announcement comes on the heels of a successful NATPE Miami 2017 in January, which was the first under the direction of Mr. Bommel. Among the highlights from the conference were the addition of three new programming tracks: NATPE Music, NATPE Scripted, and the NATPE Station Group Summit. Looking toward the future, Mr. Bommel will focus his priorities on the establishment of new membership tiers, the creation of new 365-day-a-year experiences for members, and the expansion of its 2017 NATPE Budapest Market and Content Summit (June 19-22). Mr. Bommel has served as the managing director and chief operating officer of NATPE since August 2015. Prior to joining NATPE, he founded Barton Creek Intl., which developed global events and created strategic partnerships; served as vice president, business development, entertainment for Reed Midem from 2005-2013, where he was responsible for significant sales activity and new business development for entertainment conferences such as MIPTV/MIPCOM and MIDEM (Music); and served as vice president, global marketing for EMI/Capitol, Sony Music, and BMG. Mr. Bommel received his education in Paris and holds both U.S. and EU citizenship. LOS ANGELES, January 15, 2016 – The National Association of Television Program Executives (NATPE) announced today the addition of Dan Erlij, Partner, United Talent Agency (UTA), to its board of directors, effective immediately. It was jointly announced today by Andy Kaplan, NATPE chairman of the board and Rod Perth, President and CEO. Mr. Erlij will serve a term of two years. “We are delighted that Dan has agreed to join NATPE’s terrific board. He will add tremendous value to NATPE as the industry adapts to the changes in the ways content is developed, produced and distributed across every international platform.” Kaplan stated. “Dan’s lit and scripted expertise will provide valuable guidance on how NATPE increasingly serves the creative sector of television as well as online delivered content. We are delighted that he will be on our board.” added Perth. Dan Erlij is a partner and long-time agent in the Television Literary Department at United Talent Agency, where he represents many television creators, showrunners and writer-producers. In addition, he is currently on the board of Inner-City Arts. Erlij joined UTA in 1996 in UTA’s Agent Training Program. He was promoted to agent in the television literary department in 1998 and was upped to Partner in April of 2008. Prior to joining UTA, Erlij practiced law for several years as a litigator at the Herzfeld & Rubin law firm in New York City. He left the legal practice to move to Los Angeles and enter the entertainment industry. Erlij is an instrumental part of UTA’s TV Lit Department, known for his adept instincts for identifying gifted artists, building exceptional careers for clients and discovering great material, as well as developing and packaging successful network and cable series. The annual NATPE Miami Market and Conference returns to Miami Beach next week, January 19 – 21, 2016. This year’s newly expanded campus will include both the Fontainebleau Miami Beach and neighboring Eden Roc Miami Beach Resort. The conference will operate under the banner theme “Be Creative. Be Fearless. Be Ready.” encouraging attendees to be imaginative, tenacious, and equipped to succeed in the ever-expanding, interdependent content community. Please visit natpe.com for updates. LOS ANGELES, November 23, 2015 – The National Association of Television Program Executives (NATPE) announced the election of 10 leading entertainment and media industry executives to its board of directors, effective immediately. It was jointly announced today by Andy Kaplan, NATPE chairman of the board and Rod Perth, President and CEO. The new appointees will serve a term of two years. NATPE also announced the newly constituted executive committee. “The new board members represent a very talented and experienced group of executives who will make our board even more diverse and whose counsel will be of great value to our organization,” Kaplan stated. • Bruce David Klein, President and Executive Producer, Atlas Media Corp.
• Alberto Ciurana, President, Programming and Content, Univision Communications, Inc.
• Ross Levinsohn, Executive Chairman, Scout Media, Inc. The annual NATPE Miami Market and Conference returns to Miami Beach January 19 – 21, 2016. This year’s newly expanded campus will include both the Fontainebleau Miami Beach and neighboring Eden Roc Miami Beach Resort. The conference will operate under the banner theme “Be Creative. Be Fearless. Be Ready.” encouraging attendees to be imaginative, tenacious, and equipped to succeed in the ever-expanding, interdependent content community. Please visit natpe.com for updates. Los Angeles, CA (September 10, 2015) – NATPE President and CEO Rod Perth today named Matt Palmer to the newly created position of Chief Marketing Officer, effective immediately. Mr. Palmer, a former senior marketing and business development executive for companies including Disney, Viacom, Universal, Discovery Communications, Demand Media, Exclusive Resorts and Blue Man Group, will lead global strategy and creative for NATPE’s marketing, branding, digital, research, public relations and strategic planning initiatives. An award-winning senior executive, Mr. Palmer has served in numerous senior strategic/brand marketing and business development roles across the entertainment and hospitality industries for more than 25 years. His work has been instrumental in the launch and growth of many well-known, award-winning hit TV shows like “The Ren & Stimpy Show,” “Rugrats,” “SpongeBob SquarePants,” “Trading Spaces,” “Hannah Montana,” “Phineas and Ferb,” and “High School Musical,” the latter for which he was named Ad Age’s “Entertainment Marketer of the Year.” A few of his appointments have included senior vice president and general manager of Demand Media, where he led the development and launch of a new content solutions division; senior vice president, marketing, Disney Channel at the Disney/ABC Cable Networks Group; vice president, strategic marketing, at Discovery Communications. He also held executive marketing roles with Blue Man Group and Nickelodeon. Most recently, he served as an independent consultant with a wide-ranging scope of engagement and projects in live entertainment, theme parks, urban residential and entertainment, early-stage video ad tech, seed-stage transportation aggregation and a long-form TV animation property. Los Angeles, CA (August 25, 2015) – NATPE President and CEO Rod Perth today announced that Andy Kaplan, President, Worldwide Networks for Sony Pictures Television (SPT), has been elected chairman of the board of NATPE, effective immediately. Mr. Kaplan previously served as vice chairman of the board. He succeeds Jordan Levin who served as NATPE’s chairman for four years. In his current role as president, Worldwide Networks, Sony Pictures Television (SPT), Kaplan heads SPT’s global cable and satellite television networks and investments, as well as broadband, video-on-demand and subscription video-on-demand services from the company’s headquarters in Culver City, California. Globally, Kaplan oversees SPT’s branded networks AXN, Sony Entertainment Television (SET), Sony Channel, ANIMAX, and ONE, as well as a portfolio of channels in India. He also oversees Crackle, the studio’s multi-platform video entertainment network available in 21 countries. Domestically, Kaplan oversees Sony Movie Channel (SPT’s first U.S. multi-platform television network), as well as Cine Sony Television and the broadcast digi-net getTV. He is also responsible for SPT’s equity interest in multimedia entertainment company GSN, which offers original and classic game programming and competitive entertainment via its 80-million subscriber television network and online game sites. He continues to lead the overall growth of SPT’s network portfolio by expanding the channels’ footprint and building new network brands worldwide, in several countries spanning Asia, Europe, Latin America and Africa. Los Angeles, CA. (August 7, 2015) – JP Bommel, former vice president of business development, entertainment for Reed Midem, with extensive experience with global media and entertainment firms, has been named managing director and chief operating officer of NATPE. The announcement was made today by Rod Perth, President and CEO of the international non-profit association. Mr. Bommel will officially join NATPE in September. The announcement of Mr. Bommel’s appointment follows NATPE’s disclosure in March of this year that Mr. Perth was extending his contract through February 2016 as head of NATPE during which he would oversee the transition to new leadership and then join NATPE’s Board of Directors at the expiration of his contract. This was all part of a strategic succession plan designed to sustain the organization’s momentum, and to ensure a seamless transition. Prior to joining NATPE, Mr. Bommel was the founder of Barton Creek Intl., which developed global events and created strategic partnerships and, before that, he served as vice president, business development, entertainment for Reed Midem from 2005-2013, where he was responsible for significant sales activity and new business development for entertainment conferences such as MIPTV/MIPCOM and MIDEM (Music). He previously also served as vice president, global marketing for EMI/Capitol, Sony Music and BMG. Mr. Bommel received his education in Paris and holds both U.S. and EU citizenship. Sorry, but transportation to UH and KPRC is not provided. Scholarships will be awarded by drawings between 10:00 AM and 1:00 PM. Eligibility is limited to students who have previously sent an RSVP, have received a confirmation, and show their current college photo ID at the Registration Desk. NOTE: Due to response, you may experience a delay before receiving your event confirmation email. EVENT CANCELLED. Please check back for our next event!